It's almost unbelievable. But here we are. 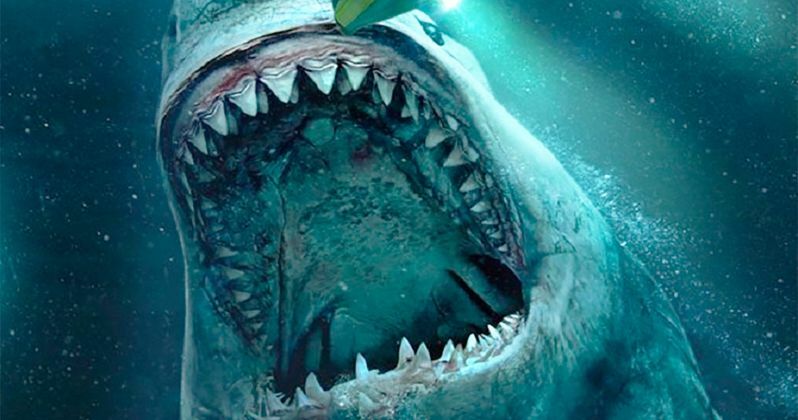 The first trailer for The Meg has arrived. And it's nothing short of a miracle. It seems like forever that this movie has been in development. Based on the nationwide bestseller, it takes the idea of a shark attack and bloats it like a dead whale to unimaginable proportions. In The Meg, A deep-sea submersible, part of an international undersea observation program, has been attacked by a massive creature, previously thought to be extinct, and now lies disabled at the bottom of the deepest trench in the Pacific. With its crew trapped inside. With time running out, expert deep sea rescue diver Jonas Taylor (Jason Statham) is recruited by a visionary Chinese oceanographer (Winston Chao), against the wishes of his daughter Suyin (Li Bingbing), to save the crew, and the ocean itself, from this unstoppable threat: a pre-historic 75-foot-long shark known as theMegalodon. What no one could have imagined is that, years before, Taylor had encountered this same terrifying creature. Now, teamed with Suyin, he must confront his fears and risk his own life to save everyone trapped below. Jason Statham (Spy, Furious 7, The Expendables films) leads an ensemble cast. He is joined by award-winning Chinese actress Li Bingbing (Transformers: Age of Extinction, Forbidden Kingdom, The Message). The movie is directed by Jon Turteltaub (the National Treasure movies, Last Vegas). The first image from The Meg arrived just last week, as Jason Statham gave an extensive interview about his experiences making the movie. He had this to say about his preparation for the role of a guy who likes to get in the deep water with the world's most dangerous sharks. The actor went into more details, describing some of the SCUBA diving trips he had to endure. He says this. Jaws is, was and always be the ultimate shark movie. And people hold a fondness for Deep Blue Sea. It looks like we may finally have a contender for another classic in the small genre that is the true Shark attack movie, even though cable has been bombarded with cheap knock-offs. Courtesy of Warner Bros., welcome to The Meg.